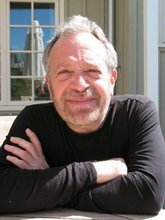 Robert Reich: I've been reluctant to use the "f" word to describe Donald Trump because it's especially harsh, and it's too often used carelessly. But Trump has finally reached a point where parallels between his presidential campaign and the fascists of the first half of the 20th century -- lurid figures such as Benito Mussolini, Joseph Stalin, Adolf Hitler, Oswald Mosley, and Francisco Franco -- are too evident to overlook. As did the early twentieth-century fascists, Trump is focusing his campaign on the angers of white working people who have been losing economic ground for years, and who are easy prey for demagogues seeking to build their own power by scapegoating others. Trump's electoral gains have been largest in counties with lower than average incomes, and among those who report their personal finances have worsened. As the Washington Post's Jeff Guo has pointed out, Trump performs best in places where middle-aged whites are dying the fastest. The economic stresses almost a century ago that culminated in the Great Depression were far worse than most of Trump's followers have experienced, but they've suffered something that in some respects is more painful -- failed expectations. Many grew up during the 1950s and 1960s, during a postwar prosperity that lifted all boats. That prosperity gave their parents a better life. Trump's followers naturally expected that they and their children would also experience economic gains. They have not. Trump's incendiary verbal attacks on Mexican immigrants and Muslims -- even his reluctance to distance himself from David Duke and the Ku Klux Klan -- follow the older fascist script. That older generation of fascists didn't bother with policy prescriptions or logical argument, either. They presented themselves as strongmen whose personal power would remedy all ills. They created around themselves cults of personality in which they took on the trappings of strength, confidence, and invulnerability -- all of which served as substitutes for rational argument or thought. Trump's entire campaign similarly revolves around his assumed strength and confidence. He tells his followers not to worry; he'll take care of them. "If you get laid off ... I still want your vote," he told workers in Michigan last week. "I'll get you a new job; don't worry about it." The old fascists intimidated and threatened opponents. Trump is not above a similar strategy. To take one example, he recently tweeted that Chicago's Ricketts family, now spending money to defeat him, "better be careful, they have a lot to hide." The old fascists incited violence. Trump has not done so explicitly but Trump supporters have attacked Muslims, the homeless, and African-Americans -- and Trump has all but excused their behavior. Weeks after Trump began his campaign by falsely alleging that Mexican immigrants are "bringing crime. They're rapists," two brothers in Boston beat with a metal poll and urinated on a 58-year-old homeless Mexican national. They subsequently told the police "Donald Trump was right, all these illegals need to be deported." Instead of condemning that brutality, Trump excused it by saying "people who are following me are very passionate. They love this country and they want this country to be great again." After a handful of white supporters punched and attempted to choke a Black Lives Matter protester at one of his campaign rallies, Trump said "maybe he should have been roughed up." There are further parallels. Fascists glorified national power and greatness, fanning xenophobia and war. Trump's entire foreign policy consists of asserting American power against other nations. Mexico "will" finance a wall. China "will" stop manipulating its currency. Viewing Donald Trump in light of the fascists of the first half of the twentieth century -- who used economic stresses to scapegoat others, created cults of personality, intimidated opponents, incited violence, glorified their nations and disregarded international law, and connected directly with the masses -- helps explain what Trump is doing and how he is succeeding.